Tips & Tricks on BIM Application. Revit® Professionals' FAQs & Answers. Latest News on Tools for Revit® and BIM. 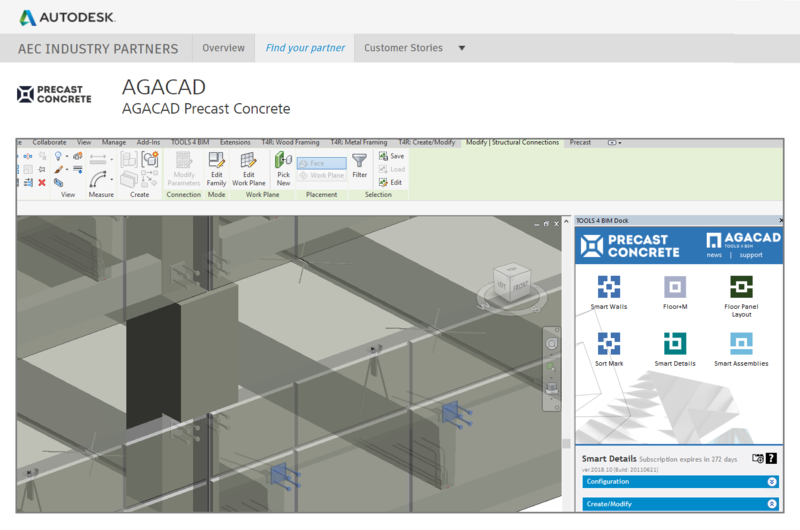 Did you know we became an Autodesk AEC Industry Partner in early October? In light of that, we invite you to join in our webinar that will take a look at the basics of Precast Concrete in Revit and show how you can increase modeling and documentation efficiency. Please register below for the time most convenient for you and join us for Precast 101 on November 8th! The 45-minute presentation will be followed by 15 minutes of Q&A. This beginner-level webinar is ideal for structural engineers, designers & drafters, BIM modelers & detailers, CAD engineers & technicians. Also for companies in building design & engineering, consultancy, and manufacturing. The October 2018 issue of AGACAD Advances is out. The must-read item: we've been named an Autodesk AEC Industry Partner. The big upcoming event: Autodesk University. Want to receive our quarterly newsletter – along with announcements about webinars and events where you can meet us – in your inbox? Join our mailing list. Thanks to all who attended our webinar about Cut Opening. If you missed out, never fear, the recording is here. Head on over to our AGACAD webinar playlist on YouTube. The webinar showed how to use Cut Opening to make openings for MEP services, fire protection components (NFPA, ISO/AS), beams, and doors & windows when the architectural model is linked. Here's a sneakpeek. Thanks to all who attended our webinar on using the new Smart Dimensions feature of Smart Assemblies to automate customized Revit drawings. If you missed out, never fear, the recording is here. Head on over to our AGACAD webinar playlist on YouTube. While there, hit the 'subscribe' button and then be sure to click the little bell → ← to get a notification whenever we publish a new video. Here's a sneakpeek at what the full webinar covered. 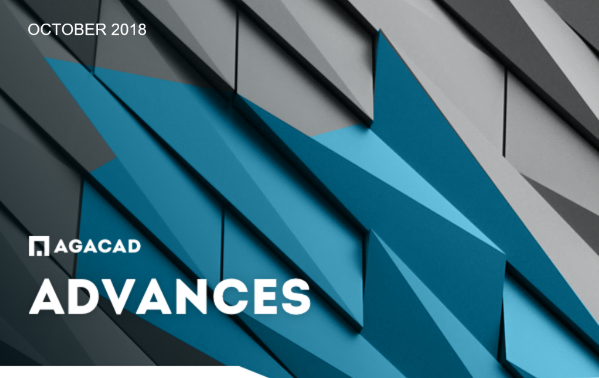 AGACAD Ltd, a developer of industry-focused technologies for building information modelling and management, is pleased to announce that it has become one of the first Architecture, Engineering, and Construction (AEC) Industry Partners of Autodesk Inc., the maker of Revit, the world’s leading software platform for BIM. “This is new recognition of the value that AGACAD’s add-on solutions provide – the time, money and stress that they save – for Revit users all over the world by automating much of their work and adding powerful new functionality for specific industries, regions and firms. We look forward to engaging even more with Autodesk to address the ever-evolving real-life needs of BIM professionals,” says Donatas Aksomitas, the CEO of AGACAD. AEC Industry Partners are trusted technology providers that Autodesk is selecting for their discipline-specific solutions which complement its own offerings. AGACAD is pleased to welcome Adeon CZ s.r.o., a leading CAD system integrator in the Czech Republic, as its exclusive partner for the sale and support of AGACAD’s solutions for BIM in the country. The company joins AGACAD’s ever-growing list of local partners around the world. “This new partnership further strengthens AGACAD’s ability to ensure outstanding service and support for customers in Central Europe,” says Donatas Aksomitas, the CEO of AGACAD. “Adeon CZ is a Gold Tier Autodesk Partner with 20 years of experience in the market. They know Revit and the needs of BIM professionals inside and out,” he adds. Cut Opening is an extremely useful BIM app for creating precise openings for MEP services and building structures. Join our webinar to get the low-down on this high-profile tool. The other week we were in Växjö, Sweden exhibiting at Forum Wood Framing Nordic with our partner AEC. While there, we met a lot of wood building designers and manufacturers who liked our software, especially because of the flexibility it offers in Revit. We also had the pleasure of meeting some of our existing clients, which is always a highlight for us these kinds of events! We showed our latest in wood framing for conference attendees who were interested in our timber software. The forum provided the perfect opportunity to demonstrate our newest solution — Wood Framing CLT — to the Scandinavian market. In this webinar we'll show how to use our Smart Assemblies BIM solution – and particularly its revamped Smart Dimensions feature – to further automate your shop drawings in Revit. Whatever your line of work (wood/metal framing, precast, etc. 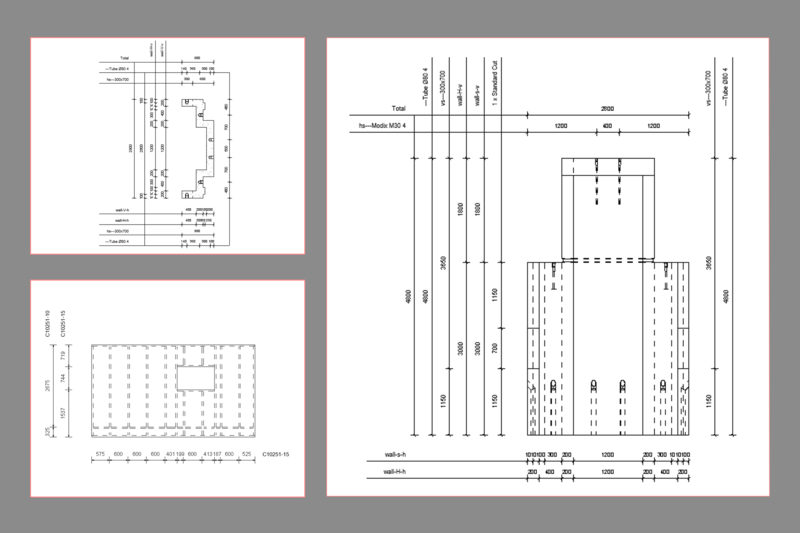 ), if you have to make shop drawings, this webinar is for you. We invite you to join! 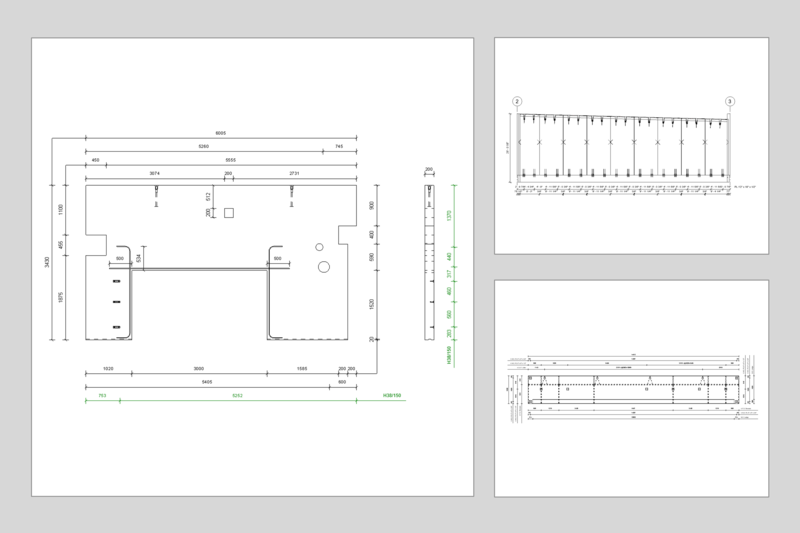 Examples of dimensioning in shop drawings used in various countries around the world. 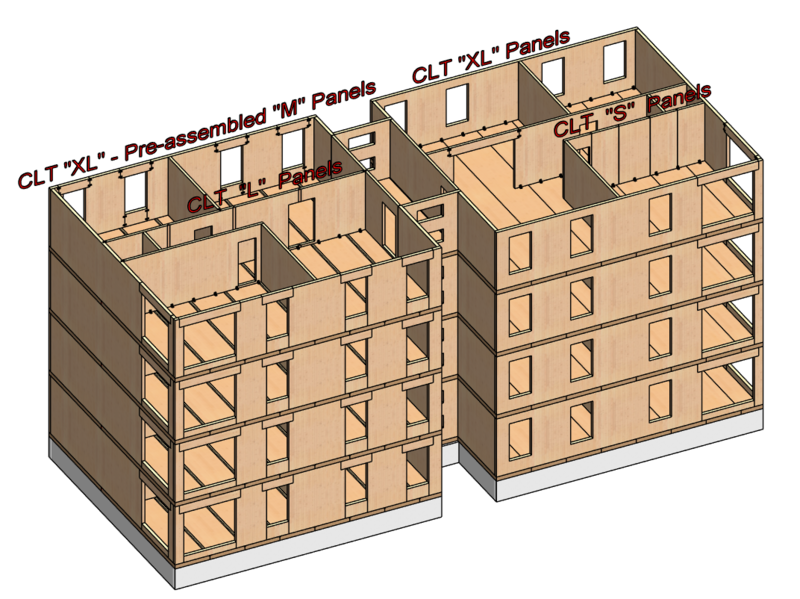 Thanks to all who attended our webinar on designing with CLT panels in Revit. If you missed out, never fear, the recording is here. Head on over to our AGACAD webinar playlist on YouTube.